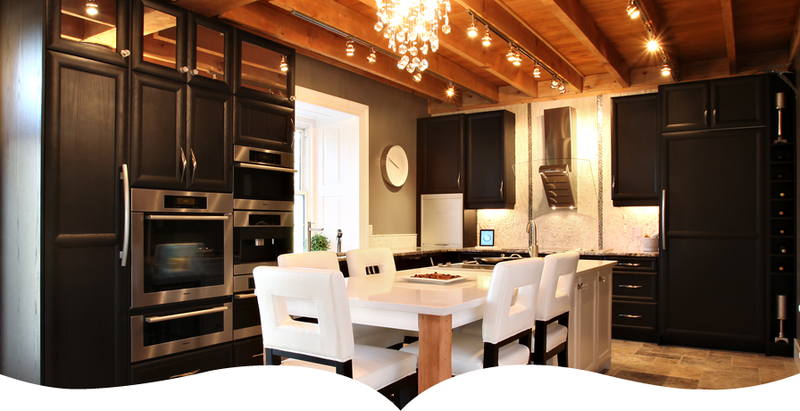 If you are looking for a luxury kitchen in Toronto, you have come to the right place. We have helped many homeowners realize their kitchen design dream in a studied, well thought-out process we have perfected over the last 30 years. It is no wonder that Anderson Balfour has become the name of distinction in the kitchen design industry. Our clients love our genuine interest in their well-being and we deal with homes in almost every neighborhood of Toronto.. Our experience and results have garnered us awards over the many years we have labored at our passion. Kitchen design is something that we eat, sleep and breathe. We have gone through the process of working with clients, listening to their goals and objectives and helping them realize exactly how far their dollar can stretch when it comes to getting a kitchen that they will love. Modern, open concept, granite countertops, European appliances, you name it. We have spent years looking at all of the different brands and their corresponding alternatives for any point in the market. Do you want high-end luxury at an affordable price? Whatever your needs, whatever your taste, we listen and build your vision into reality. Luxury Kitchens in Toronto has an appeal for just about everybody. We all want a little bit of luxury in our lives. Luxury does have a price. Some people can only live with the best and this is what we deliver when we begin the process of designing out a luxury kitchen for a Toronto home that has long-awaited a beautiful kitchen. Is it any wonder why people spend so much money designing a beautiful space for their family to live in? The reason for this is that the kitchen is an investment. Any real estate agent tell you that money well spent on the kitchen will likely bring you the best return on your investment. In the Toronto market, given real estate prices as they are, it makes sense to maximize your dollar value for this particular type of project. Luxury Kitchens in Toronto are built to be enjoyed. We love design and communicating its subtleties to our clients. We believe that it’s the little things that make a big difference. Our philosophy is that if you put your trust in us and your kitchen design project in our hands, we will be sure to provide you with a kitchen design experience like no other. We hope you found the information on this page useful and please let us know if you have any questions. We’d love to hear from you.